I am one of those people who do not make new years resolutions. Why? One reason is I rarely ever follow them through. Who enjoys a year, a month, or a week without french fries? The other reason is the fact that if I resolve to change my life or do something to better myself, I can do that any time of the year. I am resolved to not become complacent. I want to continue to push forward and blaze new trails. The poem The Road Not Taken was my favorite poem in high school and still is to this very day. I want to be a trailblazer of the new and continue to create as long as I can do so. Today, I had visitors from Columbia observe my classroom. We were able to stand and chat about the integration of iPads into the classroom while my students worked independently on different projects and programs. 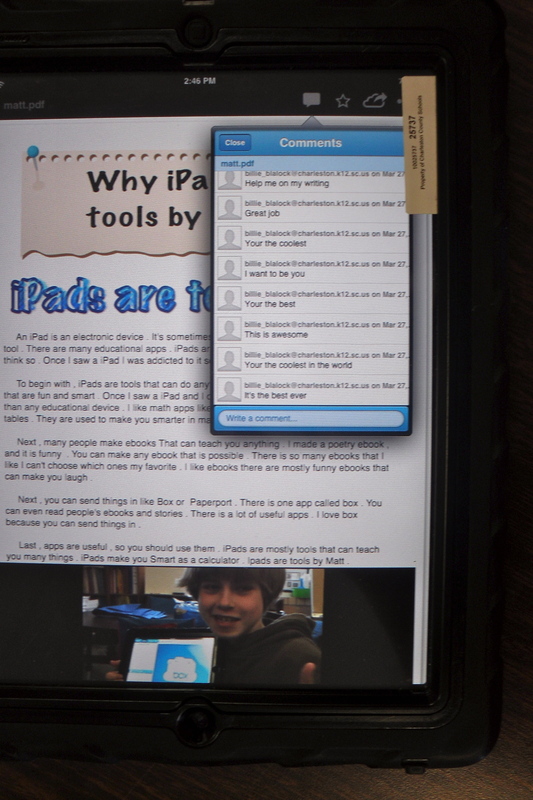 The focus of our conversation was based upon the development of a teacher’s use of iPads. Currently, I have posts about how my classroom has evolved over the years and how I have managed an organized roll out of iPads, but I haven’t reflected on my next steps. Where do you go once your 1:1 class is fully realized and students understand how to use the tools appropriately? I have listed below what I believe most teachers do once they are given iPads. I formed this belief based on what I did when piloting a 1:1 room and I have seen others do as well. None of these steps are “bad”. However, I believe not growing and challenging your class and yourself could lead to burnout. 1) Classes are given a stack of iPads allowing you to go 1:1. Mixed feelings roll through your mind “Oh no! How do I use these things” and “Yes, I finally got them!” At first teachers are often app motived and will focus on what apps they can get and how they can carve out drill and kill time. During the time some teachers may begin substituting apps for materials in the classroom. Instead of using a classic whiteboard, they use the whiteboard app. 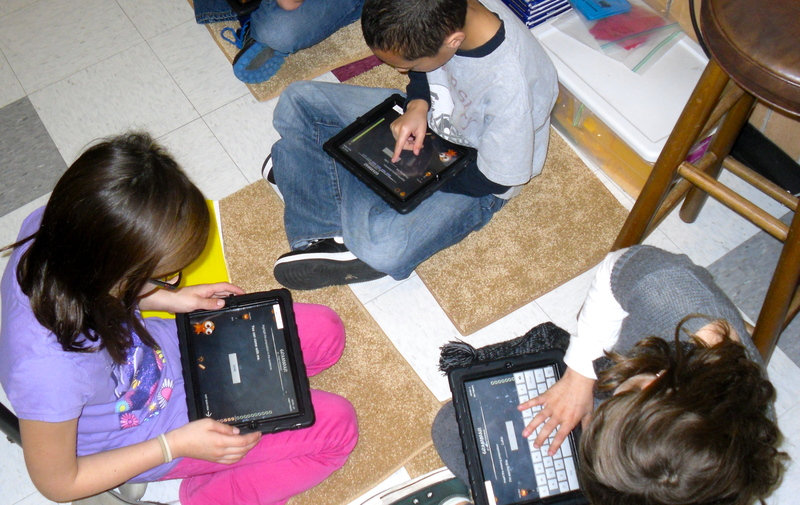 Others, may assign a specific iPad time or allow iPads to be used as early finishers. The focus in the classroom is still primarily on the teacher. 2) Teachers are shown the SAMR model and asked to reflect on how they are using her iPads. At this point teachers feel like iPad pros and may have their students working on Edmodo or using a class wiki. As they reflect on how iPads are used, they realize they are not addressing higher order thinking skills as often as they could, so they begin thinking of how their students can create on iPads. Once the students begin creating on their iPads,teachers see how creation apps can be used across the subjects. 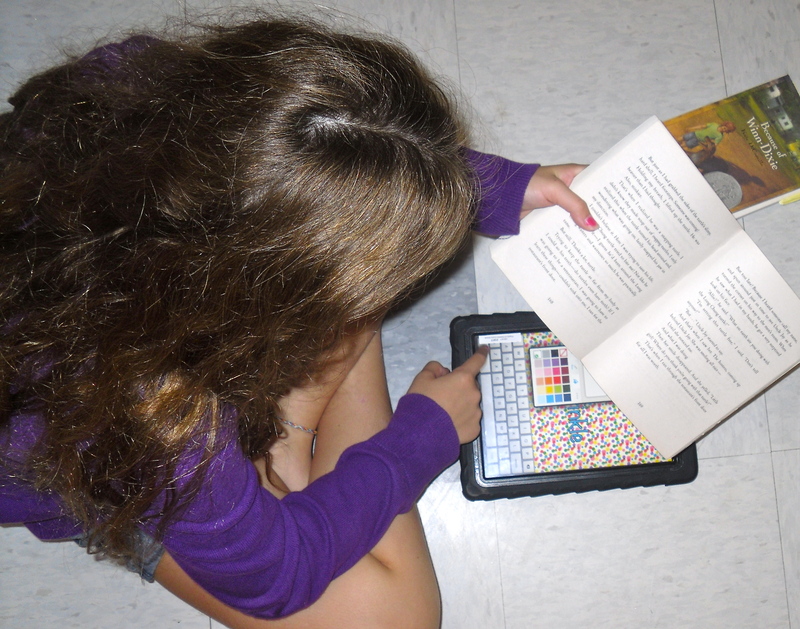 iPads may be used for things other than early finishers or free iPad time. 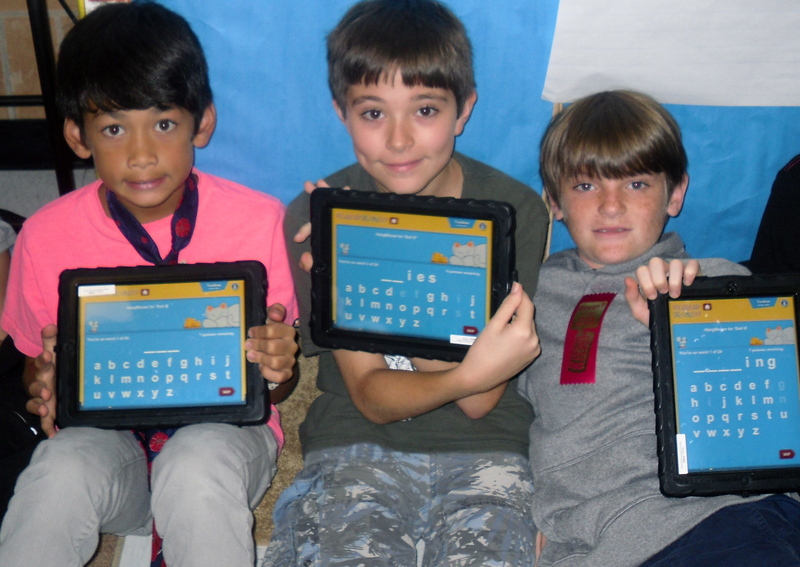 Students may be using programs like Moby Max or ScootPad to differentiate learning in the classroom. 3) Teachers give more control to the student and allows them to choose how to use their tool. Teachers now place more focus on the standard being taught and less on the app the student will use. At this point teachers will allow a student to use the iPad to create any type of project as long as the iPad is used appropriately and the student is showing understanding of the standard. Teachers are moving to become facilitators and students often work independently or in small groups. One app creates one project and this project can be send to the teacher via an application like Showbie or Box. 4) Multiple Apps are incorporated to create one final project. The realization comes that you can import a Popplet project into the book creator app then record your voice to explain the Popplet. An iMovie on Benjamin Franklin can be made by a student and imported into Book Creator. A Pic Collage can be imported into Explain Everything and be discussed. The more apps incorporated into one project, the better. There is no limit on the levels of creativity on this level. This is where my understanding of the development of a 1:1 classroom comes to an end because this is where I am. I do not know what my fifth step will be, but I do understand that there will be a fifth step. I believe that conviction is more important that the understanding of the next step because where I know my students and I are going is forward. My journey in learning new applications and creation techniques will allow me to make that fifth step. So, my question to you is where are you and where do you want to go? Oh, and if you have a suggestion for step five please share!